NASA have put out a press release regarding the largest-ever study of hot-Jupiter atmospheres by the Hubble Space Telescope and the Spitzer Space Telescope. Of the ten planets studied, six are WASP discoveries. 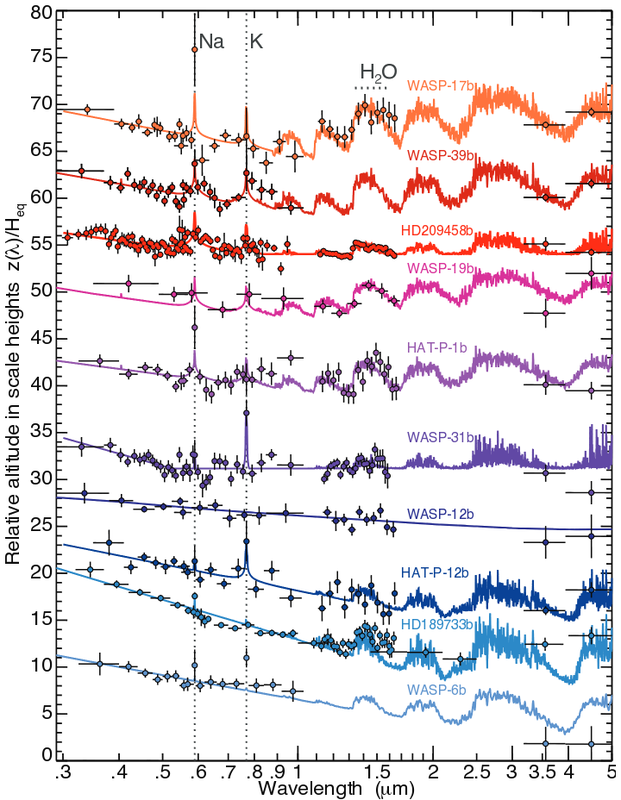 The results, published in Nature, report that hot Jupiters are a diverse group that have atmospheres ranging from clear to cloudy. Strong water absorption lines are seen when the planets have a clear atmosphere, but less so when the atmospheres are dominated by clouds and hazes. 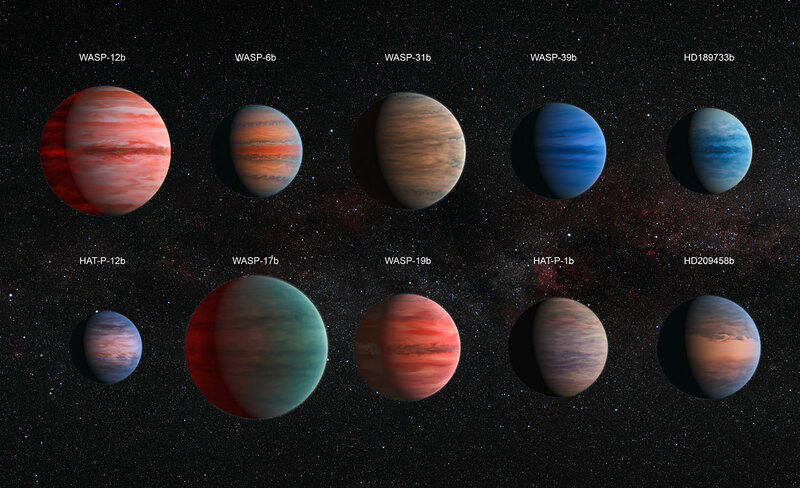 Planets such as WASP-17b and WASP-19b have clear atmospheres and show the strongest water features, whereas planets such as WASP-12b and WASP-31b are more cloudy. The NASA press release has so far resulted in articles on over 110 news websites worldwide. The paper was lead-authored by David Sing of the University of Exeter. This entry was posted in exoplanet atmospheres, Hot Jupiters, Hubble Space Telescope, WASP planets and tagged Spitzer, WASP-12b, WASP-17b, WASP-19b, WASP-31b, WASP-39b, WASP-6b on December 16, 2015 by waspplanets.